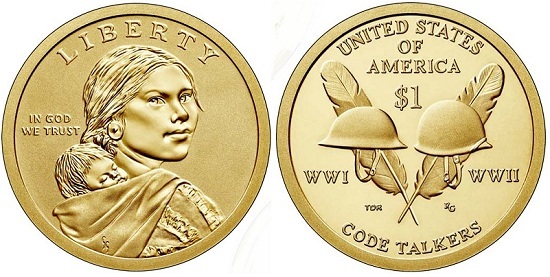 The Coin and Currency Set includes a 2016-S Enhanced Uncirculated Native American Code Talkers $1 and a $1 Series 2013 Note wtih a low serial number from one of the 12 Federal Reserve Banks located throughout the country. Select the Modern tier or higher and select Special Label/Releases and check either Early Releases or First Releases. Check the NGC website for Early Releases/First Releases cut off dates. The 5-coin minimum requirement for the Modern tier is waived. You do not need to select the Special Label/Releases service if Early Releases or First Releases is not desired or if coins are received after the cutoff date for those designations. The $15 Special Label/Releases fee applies only if Early Releases or First Releases is desired. The note must be submitted under the PMG Economy grading tier. The five (5)-note minimum will be waived.